No doubt, among the airports named after famous people, most favour politicians. The list below also includes examples like aviators, musicians and others. There is no hesitation that it’s a wise approach for paying respect and honour. A monument might stay unnoticed even in the very centre of a city, but if a people named an airport after one person, the least the clueless can do is to google it. Well, one thing is clear here – no need of a city name to tell that the Airport is in Greece. Of course, if you are not familiar with Eleftherios Venizelos – a prominent Greek politician, prime minister, called “the maker of modern Greece”, well, now you are. General Milan Rastislav Stefanik is an eminent Slovak. Beside participant in WWI he was a politician, diplomat and an astronomer. In 1919 the aircraft of General Stefanik crashed in close proximity to Bratislava. Today the Airport is most often called simply Bratislava Airport, or Bratislava-Ivanka ( after the municipality Ivanka pri Dunaji). The official name is rarely used, which by no means is of disrespect to M. R. Stefanik. No need to remind that Ferenc Liszt is one of the greatest pianists and composers in the world. To commemorate 200 years from the birth of the virtuoso musician, the main Hungarian Airport was renamed in 2011. The old name of the airport was Ferihegy, which is the name of the nearby quarter. Name change is difficult and sometimes impossible process. Up to this date the airport is still known as Ferihegy. Mustafa Kemal Atatürk is one of the most honoured people in Turkey. He was the first President of his country and did the call for many far-reaching reforms in Turkey. Istanbul is a cosmopolitan city hence one airport is not enough. While Ataturk Airport is on the European side, the Asian side has the Sabiha Gokcen Airport. Sabiha Gokcen is a Turkish Aviator and said to be the first female fighter pilot. She was adopted daughter of Mustafa Kemal Atatürk. Jože Pučnik was a dissident during the communist regime in his country. As a result he was sent to prison for seven years and later he became a leader of the democratic opposition in Slovenia. The prime airport of France is named after the French general Charles André Joseph Marie de Gaulle. Besides a leader of the Free French Forces during WWII he later founded the Fifth French Republic and served as its first president. Other International Airport serving Paris is Beauvais–Tille Airport. Though about 90 km from Central Paris, the airport is often called Paris Beauvais. The names, naturally, derive from the location – Tille is a commune and Beauvais is a small town. The third international Airport in the area is Paris-Orly. It is located between to communes – Orly and Villeneuve-le-Roi. Paris–Le Bourget is an Airport located between Paris and Charles de Gaulle Airport. It is only 15 km from center of Paris and though used only for general aviation and air shows. Its name comes from the commune Le Bourget. Václav Havel was the last president of Czechoslovakia and the first president of the Czech Republic. It was not until 2011, when the name Prague Ruzyne International Airport was changed. Ruzyne was a district of Prague known as Prague 6. This is the biggest Italian Airport. Its official name is Leonardo da Vinci, but generally known as Fiumicino Airport. Fiumicino is a small town at 28 km south-west of Rome. 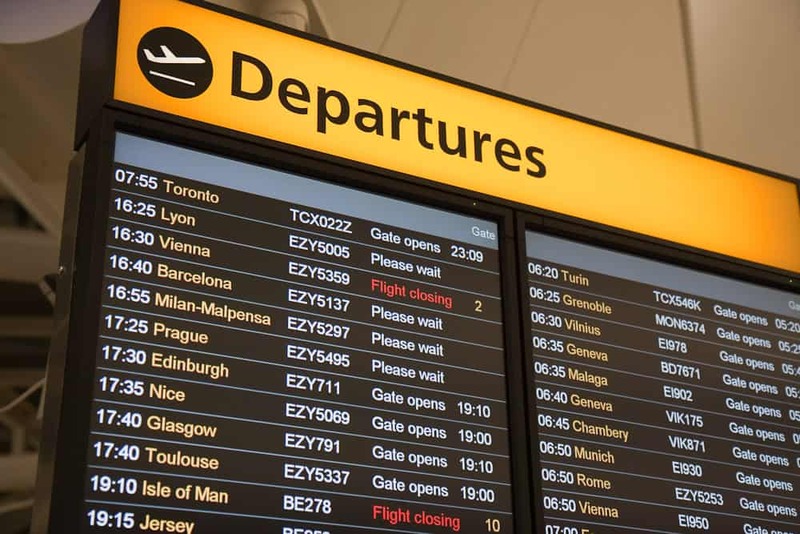 The other airport serving Rome is Ciampino–G. B. Pastine International Airport. The name model use for Fiumicino is exactly the same. Giovanni Battista Pastine is an Italian aviator who took part in WW I. Ciampino is an Italian suburb-town at 15 km from central Rome. The popular name of the airport is Rome Ciampino Airport. This is the head airport of Macedonia, which was named after Alexander the Great in year 2006. The curious case here is that only 5 hours by plane south-east of Skopje is situated Kavala International Airport, which is also named … Alexander the Great. We won’t investigate further. The airport serves the Albanian capital Tirana. Though its official name is Nënë Tereza (Mother Teresa), except for Tirana airport it is also called after the village it is located in, namely Rinas Airport. In 2001, the airport in the Polish Capital Warsaw is renamed to the great Polish Romantic composer Frederic Francois Chopin. Until 2001, the name of the airport was Okecie, the same as that of one of the biggest quarters of Warsaw. Nowadays both names are in use.